Multi-platinum-selling artist and actor Ludacris (real name Chris Bridges) will make a call for individuals to take an active role in community philanthropy at a National Press Club luncheon on Friday, October 23, 2009. The entertainer created the Ludacris Foundation in 2001 to increase leadership through education, healthy lifestyles and community engagement. The luncheon precedes the Foundation’s annual Benefit Dinner, to be held for the first time in the nation’s capital on October 24 at the Ronald Reagan Building & International Trade Center. Ludacris, 27, was discovered as a young rapper by industry giants Jermaine Dupri and Timberland. In the fall of 2000, he signed a deal with Russell Simmons' Def Jam Records and built his own label and production company, Disturbing the Peace. He has translated his success in the music industry to projects in movies and fashion. Ludacris starred as “Taj” in the feature film 2Fast 2Furious and “Anthony” in the Oscar-winning film Crash. He is currently developing a clothing line. 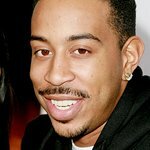 In December 2001, Ludacris founded the Atlanta-based The Ludacris Foundation, dedicated to advocating for youth and giving both time and money back to the community. Since its founding, the organization has donated more than $500,000 to support grassroots organizations that work to help the nation’s youth and has invested more than 3,500 hours in devoted service to young people around the country. The National Press Club luncheon will begin promptly at 12:30 p.m. Ludacris’ remarks will begin at 1:00 p.m., followed by a question-and-answer session. Advance reservations should be made by telephoning (202) 662-7501. Cost of the luncheon is $17 for National Press Club members, $28 for guests of members, and $35 general admission. The National Press Club is located at 14th and F. Streets, NW, one block west of Metro Center. More information about the Club and its programs is found on its Internet website: www.press.org .